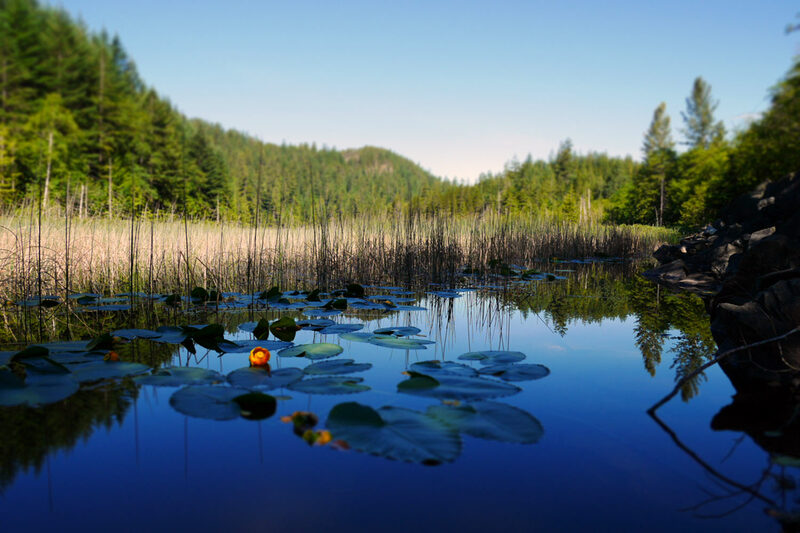 Located approximately 15-kilometres north of Downtown Squamish, Brohm Lake is a popular swimming lake for visitors and locals alike. Swim, swing, jump and lounge at one of the Sea to Sky's most popular summer spots. The water at Brohm Lake is perfectly refreshing, not too deep and easily accessible from the Sea to Sky Highway, making it both an easy stop on the way to or from your next adventure or a perfect all-day hangout. This area does get busy and parking is limited so you’ll want to get there early for the best spots. Heading north on the Sea to Sky Highway just past Alice Lake Provincial Park you’ll see the Cat Lake sign on your right. The Brohm Lake entrance is about 1km further north on the left side of the highway. Dip your paddle into one of Squamish’s lakes or rivers and you’ll soon discover the serene beauty of Squamish through one of its many local waterways.